YOU'RE READING So what if Cardi B was spotted in a R266 dress? Why we should be celebrating when celebrities like Cardi B and Cassper Nyovest wear affordable clothes. Local musician Cassper Nyovest was recently dragged by folk on Twitter (including his own fan base nogal) for being caught wearing a pair of jeans from budget retailer, Mr Price. According to TimesLive what irked people the most was the juxtaposition of him posing with his “Bentley and flashy watch.” One reader even went as far as to say that it goes against the very ideals of the lifestyle he’s living. But when did we decide that the lifestyle of the rich and famous shouldn’t include wearing affordable gear? And why is it that people end up mocking the people for having money, but in the same breath berate them for not wearing designer gear? Whether you like him or not, Cassper is certainly entitled to wearing what he wants – and if that just so happens to be a designer jacket paired with an affordable pair of jeans, then it’s his prerogative. Of course we love admiring our favourite celebs when they’re in high-end designer wear, but the criticism that Cassper faced seems to show that some people consider aspirational appeal more important than the relatability factor. Frankly, for me, it’s great to see a celeb who isn’t afraid to do a bit of budget shopping. And frankly, being wealthy doesn’t mean you can’t still budget. It just means that you’re in a financially comfortable position to be able to choose between splurging a little and shopping carefully. Most of us can’t afford to shop at high-end boutiques anyway, so why do we think it’s okay to expect celebrities to look like a million dollars all the time? And why is there this assumption that the only way you can look good is to wear clothes that are expensive? Or that being wealthy means you’re immune from falling into the debt trap? Attitudes like the one showcased above are also dangerous in that it could easily be seen as encouragement for people to live beyond their means. And most folk are already struggling with crippling debt as is. 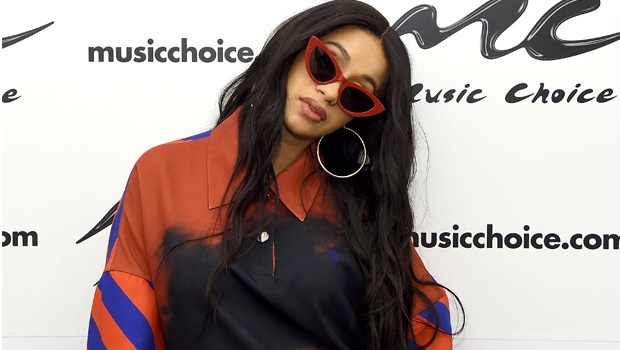 Another celebrity who has also never been shy to wear affordable clothes is rapper Cardi B. According to Bustle.com, she recently posted a video clip on her social media account in which she’s rocking a dress from Target which cost $20 (that’s about R266). Her fans absolutely loved her for it – and what’s even better is that it’s not the first time she’s worn a bargain find. In fact, Bustle.com goes on to mention that at a listening party for her album, she paired a really cheap pair of shorts with a super expensive jacket. Not only that, but in a video on YouTube she also showcases an outfit that she got for about $60 (Just under R800, which is pretty affordable for a celeb), which she paired with a $100 000 (R1 331 657) watch. So, definitely not afraid to budget shop. Or to mix and match expensive with cheap. Even the Duchess of Cambridge has been spotted in H&M for goodness sake. The idea that a rich lifestyle means having to spend money to look the part all the time is absurd. We should be celebrating the fact that celebrities don’t think they’re above going bargain shopping – because frankly, that makes them relatable and lets us know that yes, it’s more than possible to look good even when you’re shopping on a budget. Budget facials and body treatments for under R500 do exist – we found 5 great ones!